What is a BBB Accreditation & Why Is It Important To You as a Customer? To have an Accreditation from the BBB, your business has to pass certain BBB Accreditation standards. One of the most important standards, is your business has to show a good faith effort to resolve any consumer complaints. So What does it mean for you when buying a vehicle from Roesch Ford for example? It is an honest signal of trust! You can feel more confident in buying from us. The BBB has Standards For Trust and if it determined that you don’t meet them, you will not recieve an Accreditation. You can view the entire list on the BBB’s website. 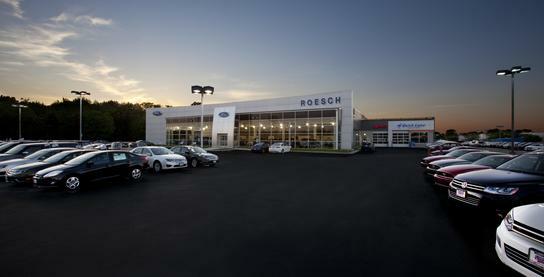 At Roesch Ford, we believe in Integrity, Honesty, and Being Transparent. We would not have received a BBB Accreditation had we not demonstrated our belief in these principles. So, what does this mean for you? At Roesch Ford, if we advertise a certain price, you will get that price. If we say we’re going to something such as the Roesch Ford One Hour Promise, we stick to that and deliver! We take customer satisfaction very seriously. You can see our reviews from previous customers on google. If you would like to read in detail the EXACT standards a business has to meet to recieve a BBB Accreditation, they’re available on the BBB’s website. For you, a few of the most important ones when it comes to buying a car are Honest Advertising and Embodying Integrity. Many dealerships will advertise prices online and then when you go to take action, they’ll provide a reason why they can’t give you that price. At Roesch Ford, what you see is what you get. There is a reason we have so many positive reviews on google. Being modest, we go above and beyond for any of our customers! How Has Your Experience Been At Roesch Ford? We’re always looking to improve and we love feedback because it helps us to know how our customers expierience our services. If you’d like leave us a Review on our BBB profile. Or if it suits you better you can leave a review on our google business page. At Roesch Ford, we strive to give you a great expierience and hold ourself to an extremely high standard so feel free to give us any feedback on your expierence and/or if you’re in the market now we’d love to help!